ATTENTION INTERNET MARKETERS: Ready to Use Aweber to Build Your List? 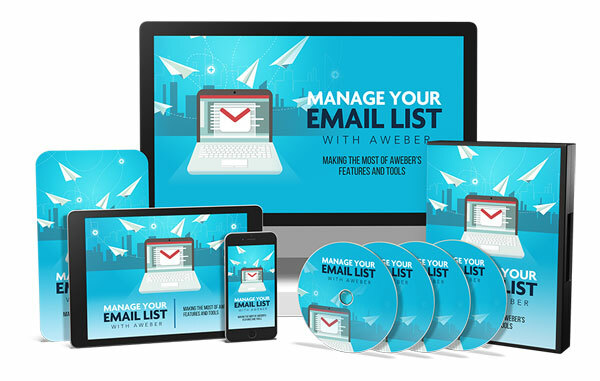 "Give Me Ninety Minutes And I’ll Show You All of the Essentials to Managing Your E-Mail List on Aweber"
You’ve come to this page because you’ve probably thought about using or your currently use Aweber as your E-Mail Provider. You’re one of those entrepreneurs that…. Get's Stuff done and doesn't "sweat the samall stuff"
And you start to wonder, Is it possible that I could be missing something? Could I be more? Could I be doing better? You’re probably wondering, could I be missing some of this "helpful stuff"? Doesn’t all of it matter when email is still such a big part of marketing? The answer is yes and no. There ARE things that you could do with Aweber that may be a little technical that could have an impact on your business in a really positive way. But the service is so easy to use that it's possible that you could get started with out knowing them and do just fine, and your customers and clients will be none the wiser. But once you DO know them, your lists will be more targeted...your messaging more focused and your goals more realizable. There are litle things that you could be doing today to increase your visibility and your open rate and get more pepole to see your offers. If you could learn that now, would you be interested? Whether you are a veteran Aweber user or a brand new to Aweber email sender, there are lots of little adjustments that you could make to cause a real impact on your email marketing and your communication with customers and clients. Think of what it would be like to be making a positive impact on your customers every time your send an email. Once you understand the tools in all of the menus and hidden features, you can apply them to any and everything you do in your emails.